The couples who have already started planning their dream wedding have to think about the budget and all other paraphernalia related to wedding. When it comes to wedding people do not accept anything less than outstanding. But couples can cut short the budget by efficient planning and effective implementation. You don't have to spend a fortune for your big day as you can make your weddings memorable by efficient use of resources. Every couple getting married would want an extravagant and grand occasion on the day. However what happens after marriage is as important as the day itself. That is when the wedding budget comes into play. Many people spend lavishly for the occasion and later regret the unnecessary expenditure. It is very important to create a wedding budget which will help you control the expenditure during this period. Based on the size of the wedding budget the ceremony can be made as grand as possible. The largest expenditure when it comes to the special day is the hall, or the place where the ceremony is to take place. If the occasion is to take place in a city, the hall can be a problem. Not only will they come in very expensive packages but it would not be as perfect as you imagines. For this reason a marriage located conveniently outside the city is the best choice. This will allow you to reduce the expenditure on the hall bookings and improve other areas such as food and decoration. 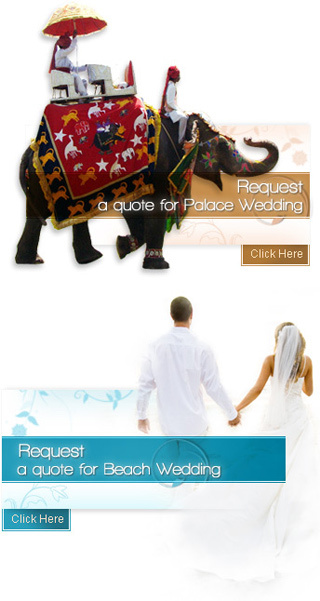 Marriages in India can be of very different types and so the wedding budget can range from small to large. A normal wedding with capacity of fewer than five hundred people can be arranged in under two lakh rupees, whereas a grand wedding can upto crores of rupees.